We post our catalog and order forms as PDF's. NA's newest Fellowship-approved book contains tools, text, and questions meant to facilitate discussion and inspire action in our groups, in workshops, and in sponsorship. 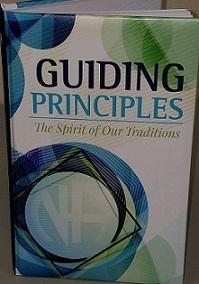 This book is a collection of experience and ideas on how to work through issues together, using the principles embodied in the Traditions.